Vroom vroom! 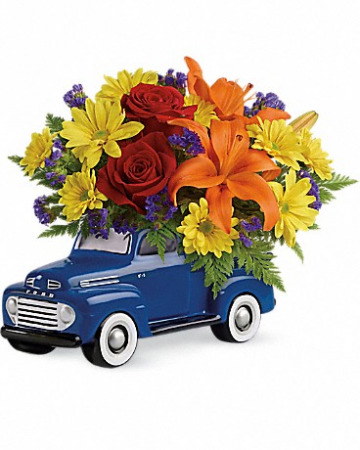 Get his motor running this Valentine's Day with a freewheelin' gift he'll never forget - a bold bouquet of roses, lilies and mums, hand-delivered in a '48 Ford Pickup. This little pickup includes red roses, orange asiatic lilies, yellow daisy spray chrysanthemums, purple sinuata statice, and leatherleaf fern. 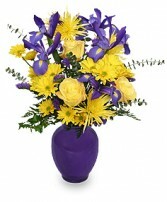 Delivered in a '48 Ford Pickup collectible keepsake.